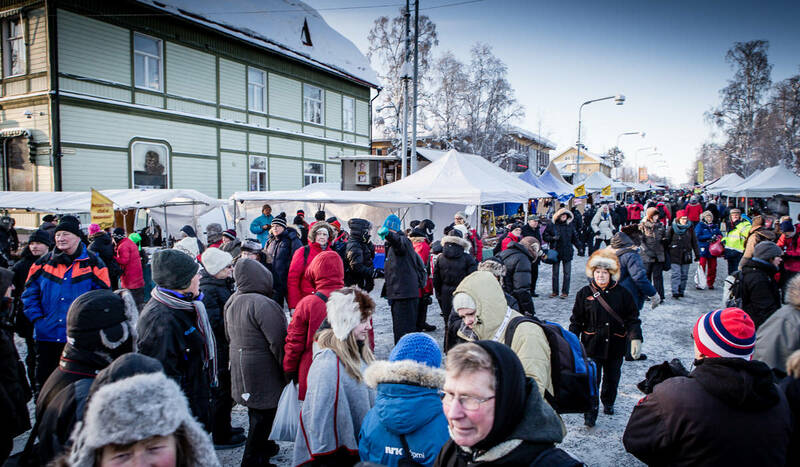 During winter 2016 Jokkmokk winter market were held for the 411th year running. 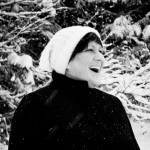 Apart from world-class Sami art, culture and handicraft, visitors are normally greeted by proper, cold winter weather. 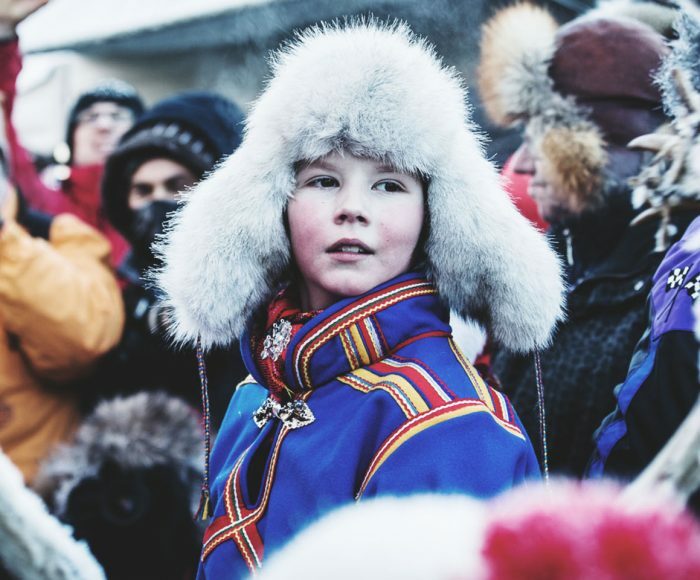 On the first weekend in February, every year since 1605, the Jokkmokk market is held. Often it’s cold as, well… hell, and if you’ve got any paranoid tendencies you’ll assume that’s why this particular weekend was chosen for the market. But we’ll come back to that. First, let’s take a stroll around the stalls. You’ve got to expect the normal market knick-knacks, of course. There are the helium balloons, t-shirts with novelty prints and sweets that will make your blood sugar level hit the roof. But you’ll also come across the genuine and the beautiful. In Jokkmokk some of the best Sami artisans and artists gather. This is where you’ll find the future culture bearers. 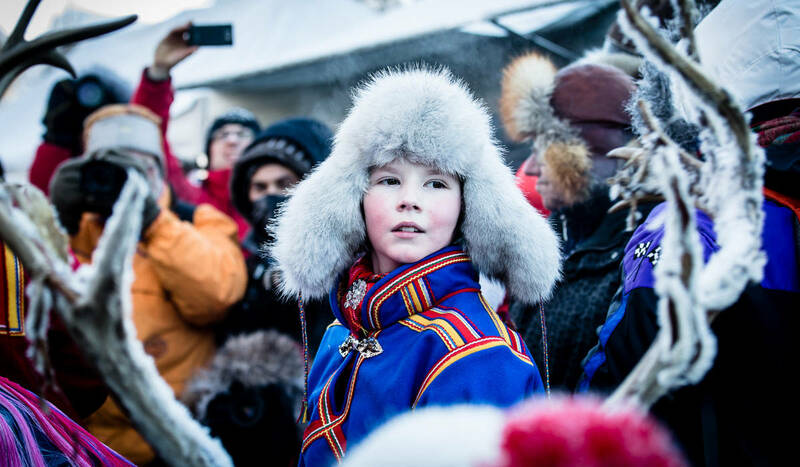 About 40,000 people visit the Jokkmokk Winter Market each year. When the market started some 400 years ago this wasn’t that large an event. Back then the market was purely a place to trade and meet. The Sami people met to trade goods, socialise, and possibly to get a bit tipsy. At least they’d arrive in their party clothes. The Swedish king, Karl IX, and his bailiffs wanted to see what kind of goods the Sami were trading so they could exact more taxes. At the same time the priest would be there to give the sinners a good talking to. To make everything easier to control and run smoother, they organised the market during the coldest time of the year. People had to stay near the houses to keep warm. You might think this sounds like pure fiction, but the fact is that the Swedish state wanted to create a market for economic reasons – money was needed for all the wars the king was involved in down in Europe. So Karl IX proclaimed himself “… divine King of Sweden… of the Laps in the Northern Lands” and Jokkmokk got a market in the middle of the freezing cold. There's tasty, local food to found everywhere. 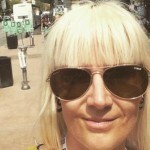 Try Café Gasskas or Restaurang Ájtte! Lots of people come to Jokkmokk on the market weekend to partake in various functions and cultural events. It’s known for good music, shows and lectures. All markets have their own theme and in 2016 the theme is ‘Midwinter on the Arctic Circle’. Most visitors are people of late middle-age who have travelled here from all over the world and are in one way or other interested in Sami art and culture. And they appreciate good shopping, good food and to feel good in general. 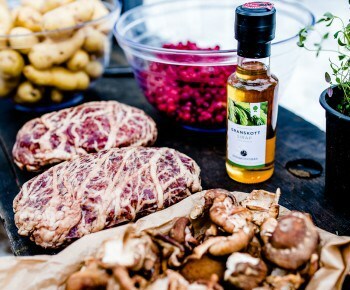 From the classic marrowbone dinner at old Gästis – these days it’s called Hotel Akerlund – via refined slow food at Ájtte to fast food at the market in the shape of smoked reindeer suovas. Local produce but with inspiration from all over the world. So even if it’s cold you don’t have to feel cold, and you’ll never go hungry. 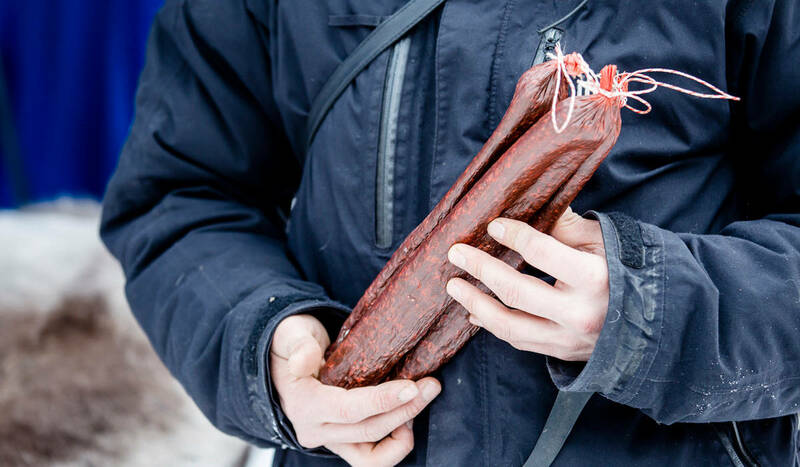 Don't miss out on the dried and smoked reindeer sausages. At a quick glance, as you zigzag between stands selling sweets, t-shirts, knitted socks, donuts – one stand even offers both piercings and spiritual talks – there is little to differentiate the market here in Jokkmokk from the famous Swedish one in Kivik. But if you look further than the muddle of seemingly pointless things you will find the genuine and the real – all those things the King’s bailiffs were so keen to put a value on. At Ájtte, the Sami museum area in Jokkmokk, you’ll find the Sami Educational Centre. A school that has trained many of the artisans exhibiting their handicraft. 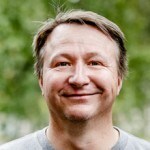 Jon Tomas Utsi from Porjus is one of them. 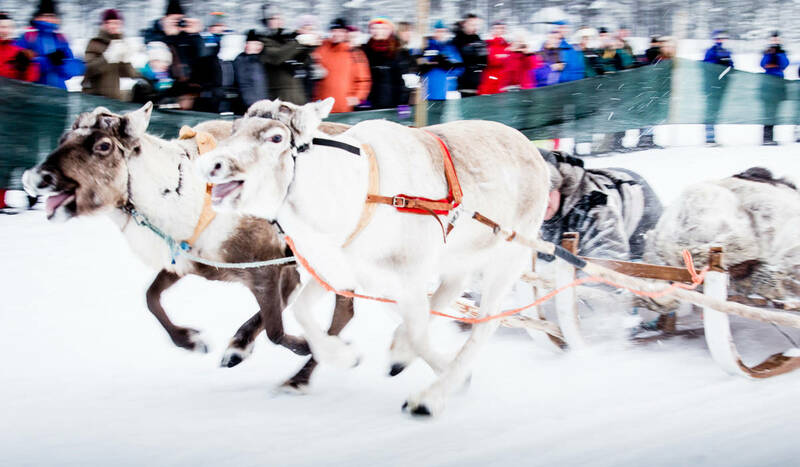 The reindeer race is an annual crowd pleaser. Jon Tomas is a reindeer keeper and artisan with a long waiting list for his artwork. — Yes, this year was a bit strange. I was that far behind with orders that when I had gone through the list and was on my way here I hardly had anything left at home. I had to borrow things I’d made, from my buyers, so I’d have enough to show, he says with a smile. A couple of those items are the box ‘Geazusmiessi’ and the knife ‘Johtin’, made entirely out of reindeer antlers. Here you can really appreciate how skilled Jon Tomas is using an engraving pen. His traditional Sami patterns are pretty, but his more non-traditional art really stands out. The theme of the knife that is all made from antlers, ‘Johtin’, means ‘in transit’. 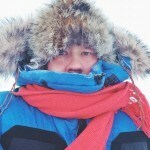 For all Sami, artisans and non-artisans, reindeer migration has always been the central point in life. The people of eight seasons have lived life in unison with the reindeer herds’ migratory patterns from the land where the calves are born to the land they graze in winter as long as that land itself has existed. ‘Johtin’, to be in transit, is the natural state of things for Jon Tomas, as well as his reindeer. 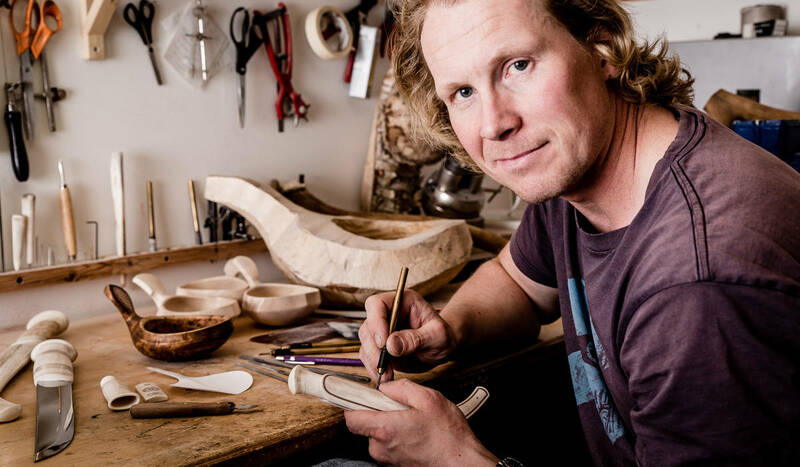 Jon Tomas Utsi in his workshop making one of his beautiful knives. — I don’t know. I’ve always done it. My dad did it, his dad did it. I like doing it, that’s all I know. So whether I have a talent for it or not is for others to decide. 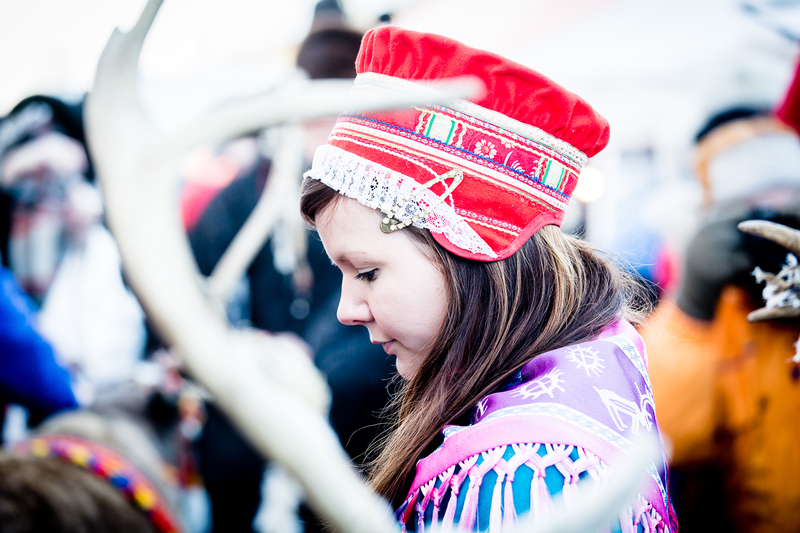 Many Sámi designers sell their jewellery, clothes and handicraft on the market. 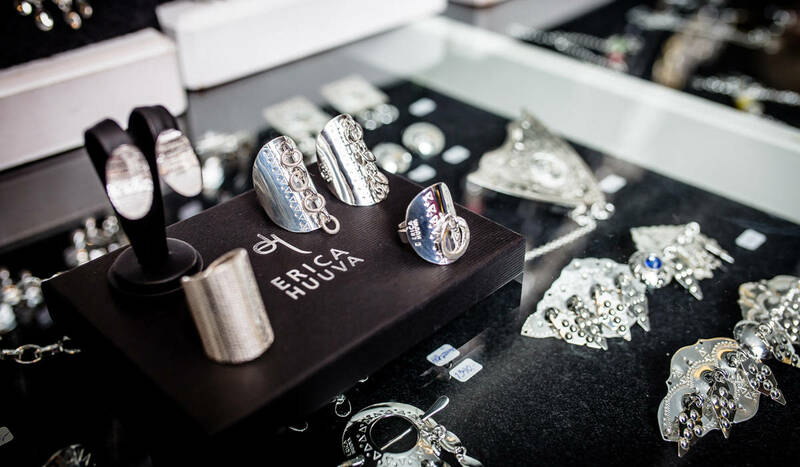 Here's an example of Erica Huuva's jewellery, representing the next generation of Sámi craftmanship. This carrying on a family tradition is important in itself, of course. It gives you pride and knowledge. Duodji, the name for Sami handicraft, is a natural part of everyday life. But to look for shed antlers and use them for handicraft isn’t just a way of making money. More than anything it’s a way of life where everything is important and deserves to be honoured. Not one thing that the reindeer provides should be thrown away. That kind of society, the consumer society with plastic balloons, was introduced much later by the King and his men. Monica Edmundson's beautiful glass art 100 MIGRATORY. But is there a Sami Duodji version 2.0? Can you find modern Sami handicraft that isn’t just knives, boxes and drinking cups? For sure! The stuff I see for sale in the Stoorstålka shop and some of the items made by the young artists at the Sami School is promising. The colours and materials used in Sami art are fashionable among interior designers and in interior design literature right now. You come across reindeer skins as well as candle holders and chandeliers made out of antlers in each and every magazine on the shelves. 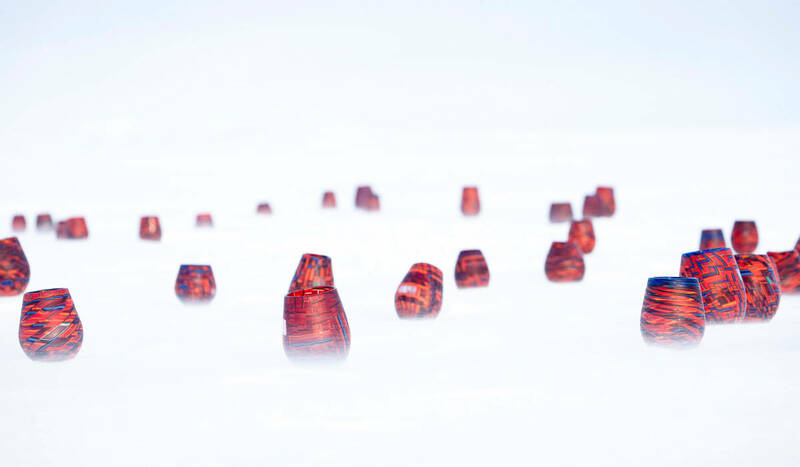 One who has taken the traditionally strong colours of the Sami tradition and their combination with the white expanses of the mountains a bit further – perhaps to a Duodji 2.0 – is the glass artist Monica L Edmondson in Tärnaby. Her work very naturally captures the strength of Sami colours and she never shies away from working with the wintery white cold. Monica has adopted an old Italian technique called murrine. But it’s not the technique in itself that’s important. Not to me, the person looking at her work. I just want to hold this piece of art that’s more beautiful than anything I’ve ever seen made of glass before. Something that owns the spirit and life of the mountains. Something that speaks to me. Per-Adrian Kuhmunen, grandson to Per Kuhmunen who each year leads the reindeer rajd through the market place. 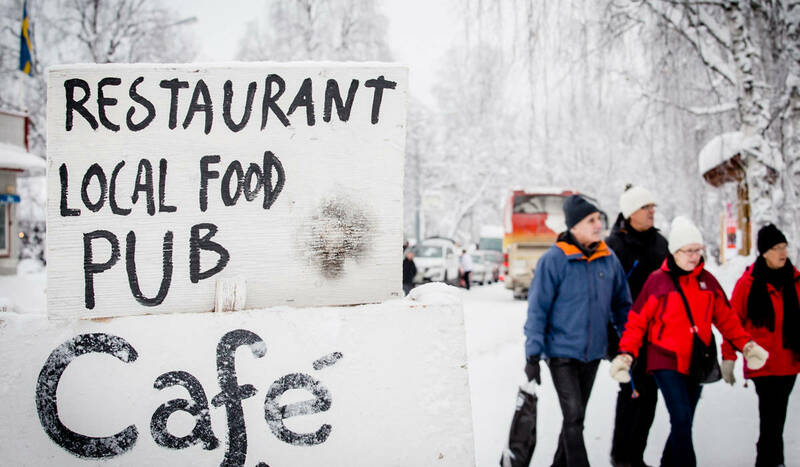 The Jokkmokk Winter Market takes place on the first weekend of February each year. 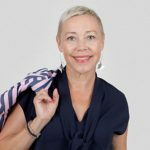 For details, visit www.jokkmokksmarknad.se. To learn more about the Monica Edmondson’s glass art and the project 100 MIGRATORY, see 100migratory.wordpress.com. The inspiration for Monica’s glass isn’t hard to find at the market. The beautiful traditional attire worn by Per Kuhmunen as he leads the daily reindeer train through Jokkmokk market with his wintery-white domesticated reindeer features all the colours of one of Monica’s magnificent pieces. Everything is connected. Per Kuhmunen starts the reindeer train at noon. That’s good to know. Afterwards, it’s time for lunch. I’m told they serve reindeer hotpot with potato dumplings and/or blood potato dumplings at the Sami Educational Centre. I go there. That’s something that will keep you going. Tomorrow they say it’s going to be 40° below zero. 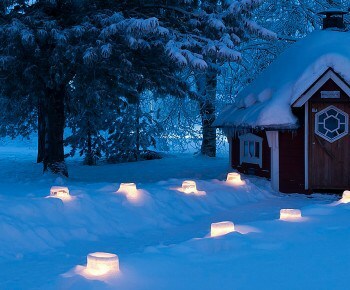 Picture this: A small, rural village above the Arctic Circle, all covered in snow, the sun hasn’t risen above the horizon for weeks, where every verge, driveway, doorway, parking lot, actually any available spot - is lit up by ice lanterns.